Since almost 20 years I feel home in the gothic scene. I love the beauty of melancholy at most and that’s why I try to capture in my photos. 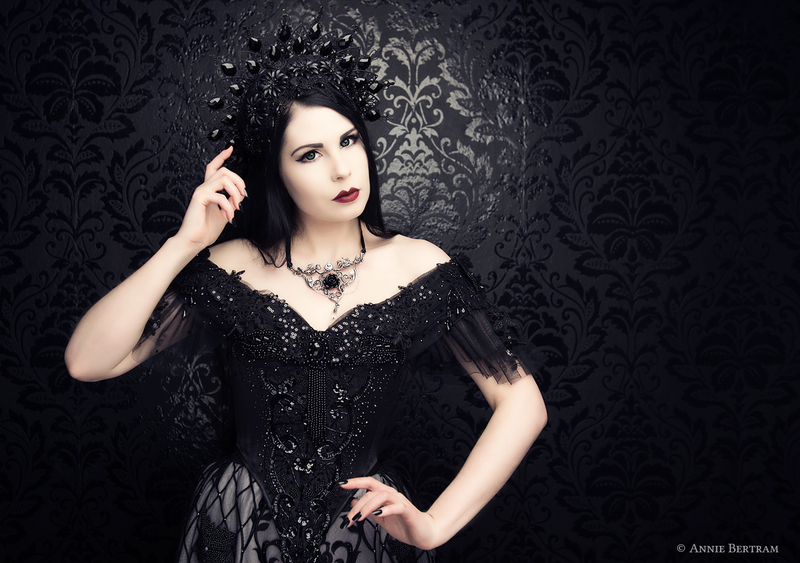 In spring gothic model Mademoiselle Kharma from Germany visited me in my little cosy studio. We wanted to create a darker site of Snow White. Equipped with very beautiful designs of italian designer VideoNoir and headdress by Zerenity and for the Snow White set with Alice Korsets from Ukraine and headdress from Patine Noir from Germany. The Jewellery was kindly provided by Alchemy England. As you see, you can find creative gothic people just around the globe. I really enjoy to work with different designers. If you like our work – please leave a comment.